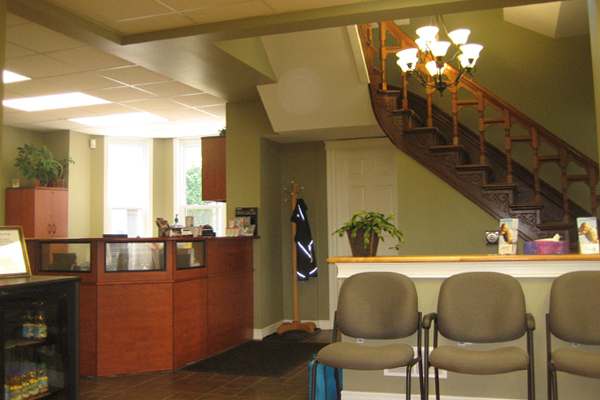 From the moment you walk into our clinic, you will feel at home. Our primary goal is to help patients hear the sounds in life that are most important to them. Providing quality hearing care services to residents of St. Thomas and surrounding communities for several years, we consider our patients part of our family. We care about your comfort. Our office and sound booths are wheelchair accessible, helping us accommodate all of our patients with care and consideration. Feel free to bring your family; our cozy waiting room area is equipped with a TV, books for children and adults and fresh coffee and juice for your comfort. St. Thomas Hearing Clinic’s team also works with family doctors and otolaryngologist to ensure patients receive all benefits and options in their hearing health care. Devices are individually selected to meet our client’s needs with a full range of manufacturer brand options available. Our hearing clinic is independently owned and operated, with a holistic approach to health care. 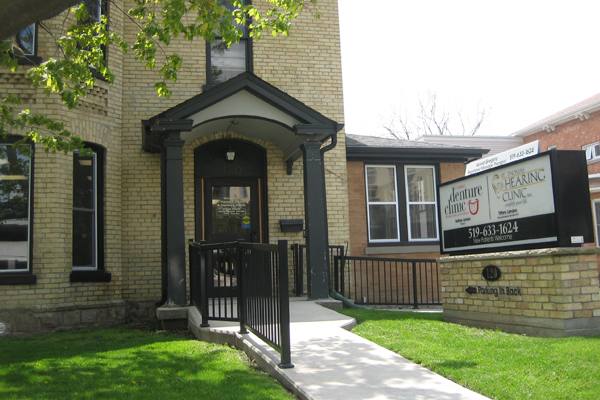 The Denture Clinic is conveniently located in the same building as the Hearing Clinic. Denturist Nathan Landon, Tiffany’s husband, has been serving the region for over 10 years. Book your appointment today for all your hearing and denture requirements – all under one roof – with free parking! An audiologist is a health-care professional specializing in identifying, diagnosing, treating and monitoring disorders of the auditory and vestibular system portions of the ear. 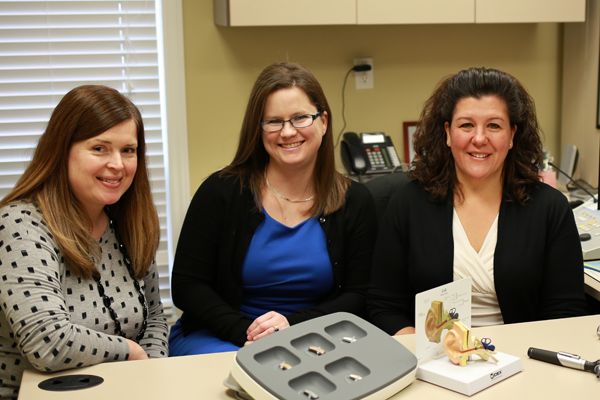 Audiologists are trained to diagnose, manage and/or treat hearing or balance problems. They dispense hearing aids and recommend and map cochlear implants. They counsel families through a new diagnosis of hearing loss in infants, and help teach coping and compensation skills to late-deafened adults. They also help design and implement personal and industrial hearing safety programs, newborn hearing screening programs, school hearing screening programs, and provide special fitting ear plugs and other hearing protection devices to help prevent hearing loss. Audiologists have training in anatomy and physiology, hearing aids, cochlear implants, electrophysiology, acoustics, psychophysics, neurology, counseling and sign language. I graduated from George Brown College as a certified Hearing Instrument Specialist. 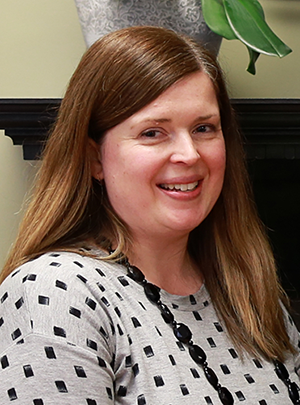 My internship spanned several clinics throughout St. Thomas, London and Sarnia. I graduate from Fanshawe College’s Nursing Program an earned my distinction of R.N., giving you that extra care and expertise. 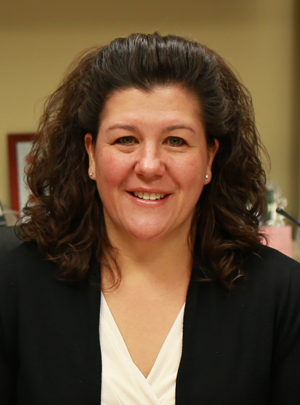 Supporting me is a team of an audiologist and hearing instrument practitioners, who specialize in assisting clients with unique needs, such as WSIB and other specialized testing requirements. With this team structure, clients appreciate convenient and customized appointments that are efficiently managed around their busy schedules. I knew from a young age that I wanted to work in a helping profession in the healthcare field. I find working with patients very rewarding. It might be something simple that needs to be fixed, or an in-depth chat may be in order to solve a problem. I am happy to help no matter how big or small the concern. I completed an Honours Bachelor of Health Science at Western University in 2002. I was accepted into Western’s Communication Sciences and Disorders Program to complete my Master of Science in Audiology and graduated in 2005. I had the opportunity to complete placements in a variety of settings, including private practice and hospital settings. I was excited to begin a new chapter in my career here in St. Thomas, my home since 2010. It is extra meaningful to be involved in serving members of my fellow community and get to know them. I am delighted to say I have met some of the friendliest folks since beginning to work here in St. Thomas.